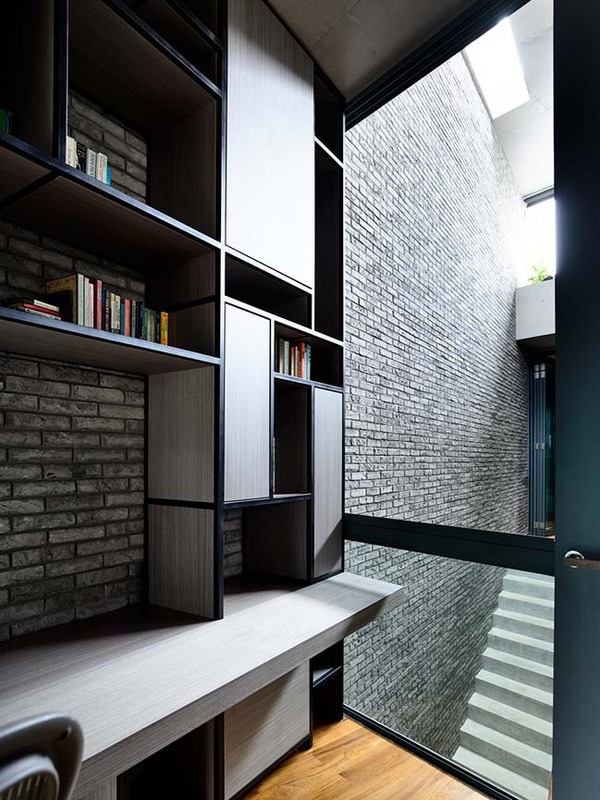 Located in Binchang Rise. 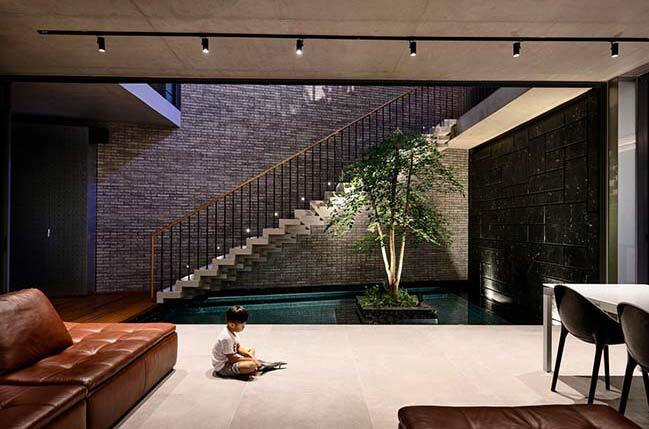 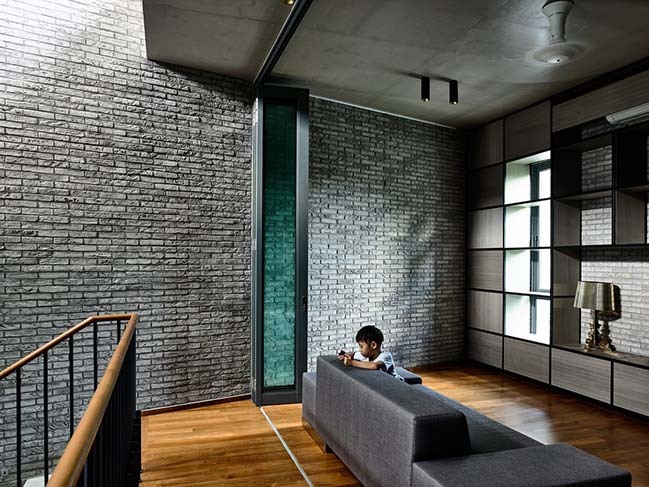 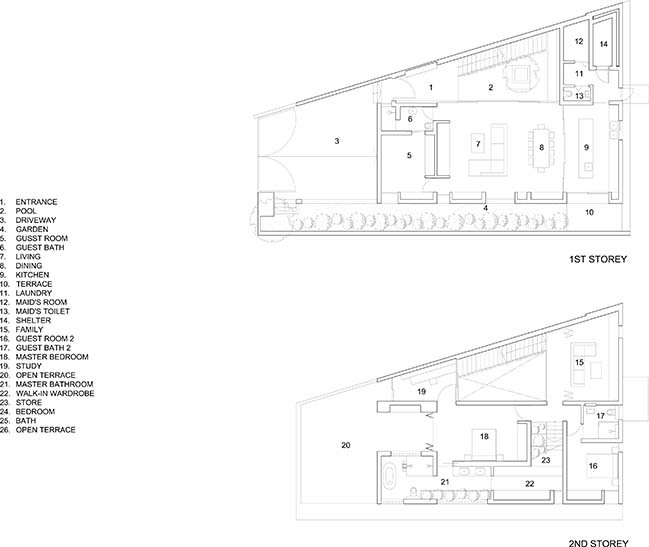 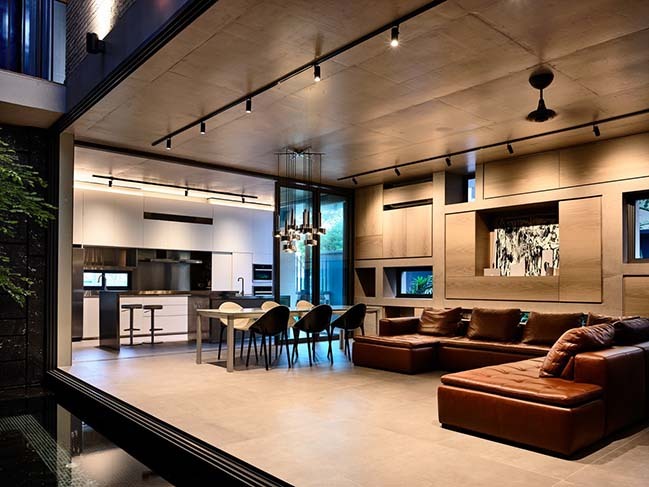 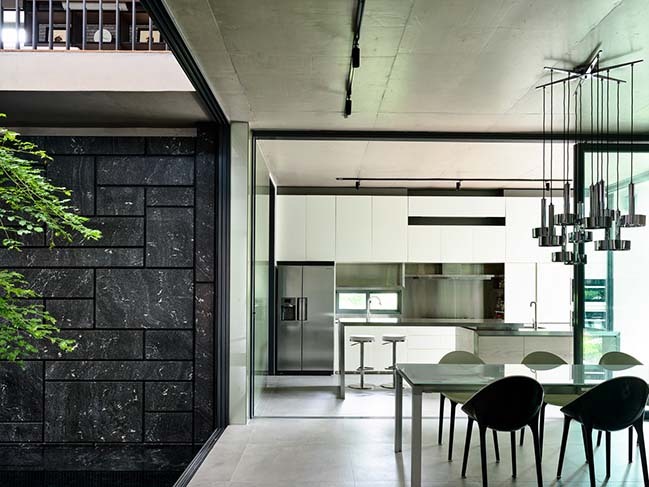 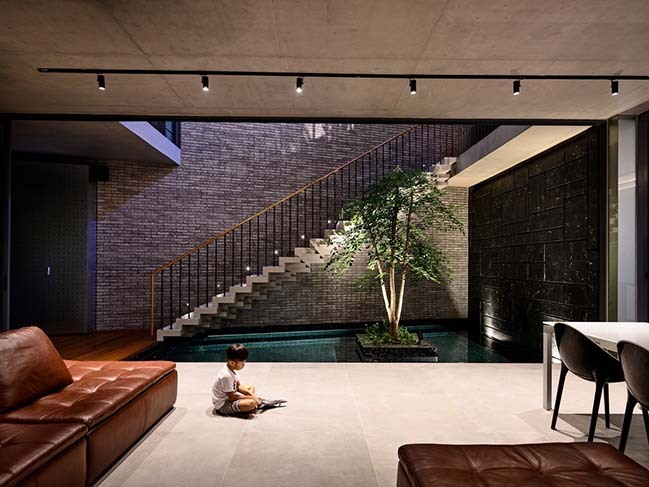 The Surprising Seclusion is a 2-storey house designed by HYLA Architects. 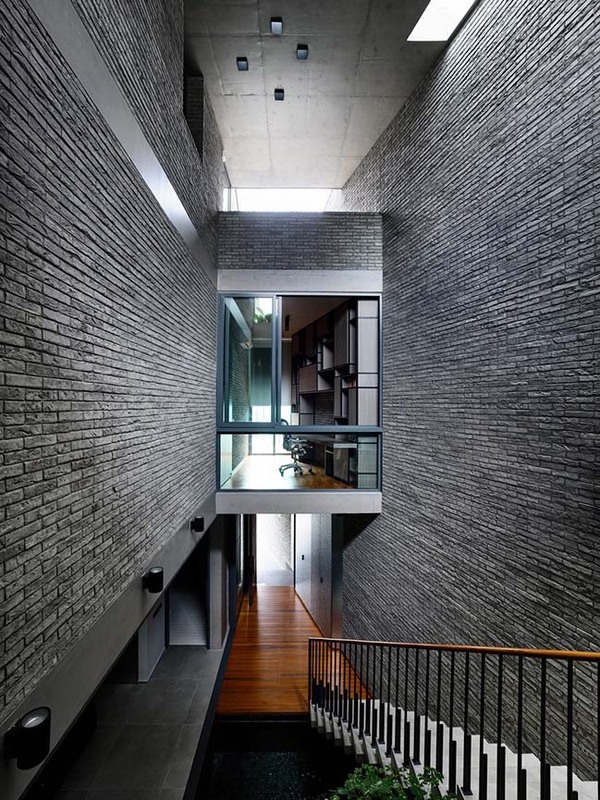 The whole house is finished in off form concrete and grey face brick. 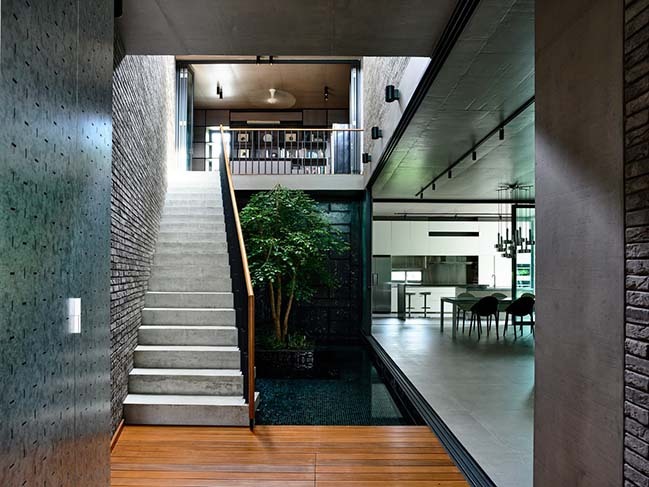 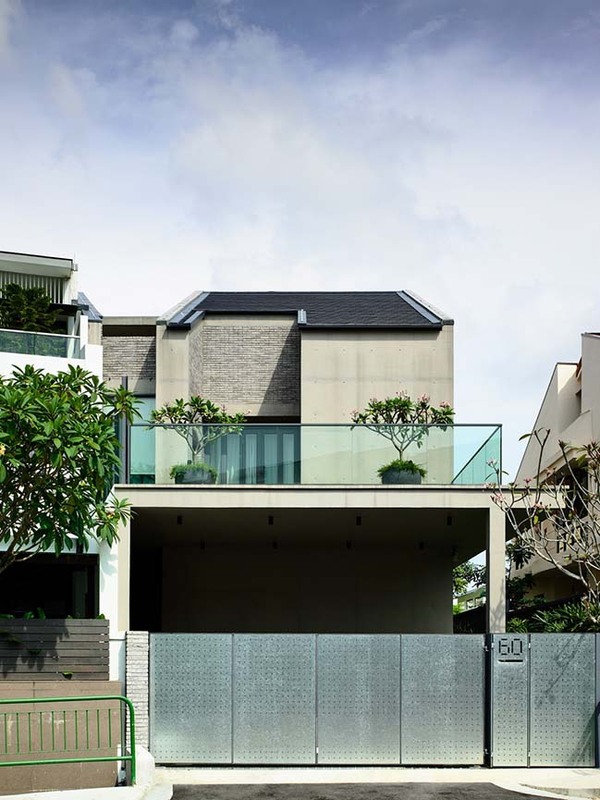 From the architect: With both the front and rear facing busy roads, and the side an old house, this house looks inwards. 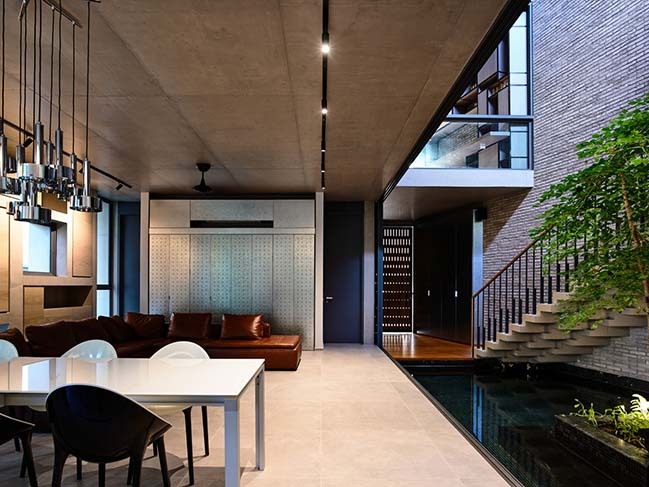 A triple volume covered but naturally ventilated court with a pool becomes the focus of the internal space. 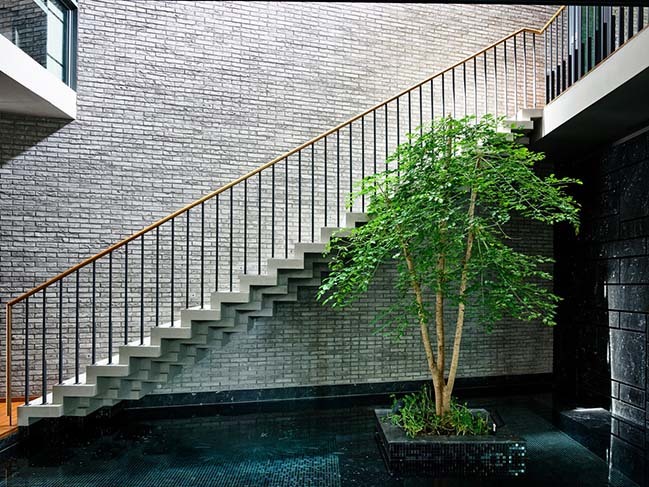 On the side, a sculptural staircase cantilevers from the wall to reach the family room on the second level. 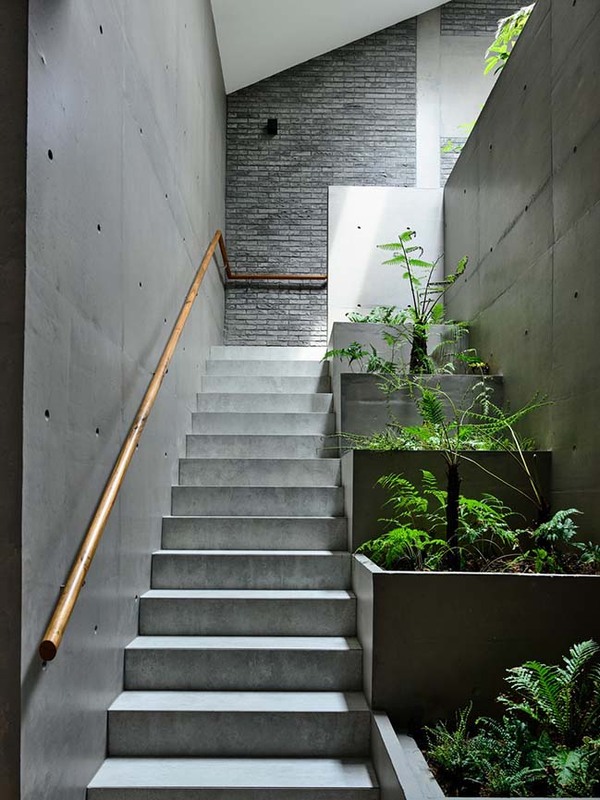 The journey continues upwards on another staircase with a stepped planter on the side and lit from above. 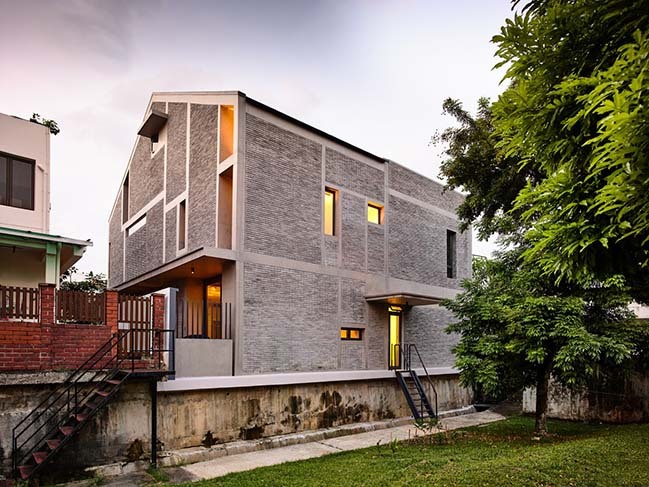 The whole house is finished in off form concrete and grey face brick. 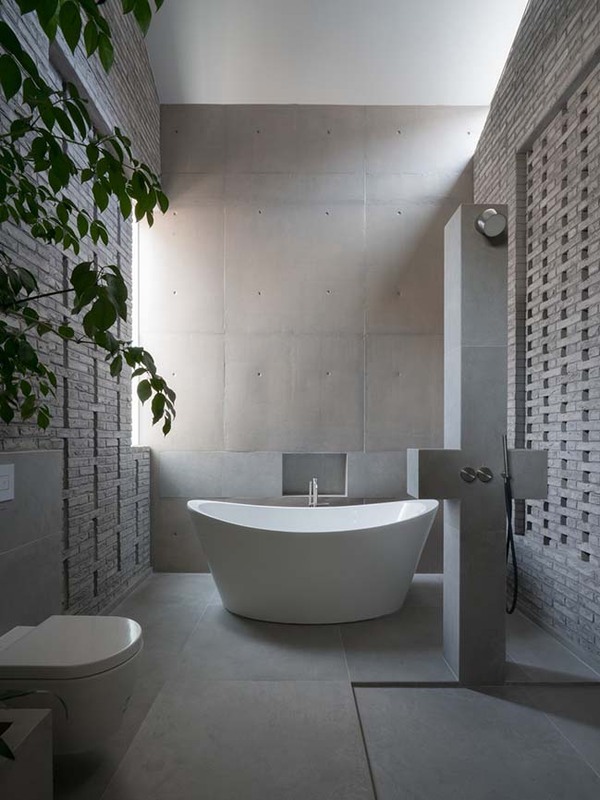 The Master bathroom continues this theme, with brick openings that allow ventilation but not views through. 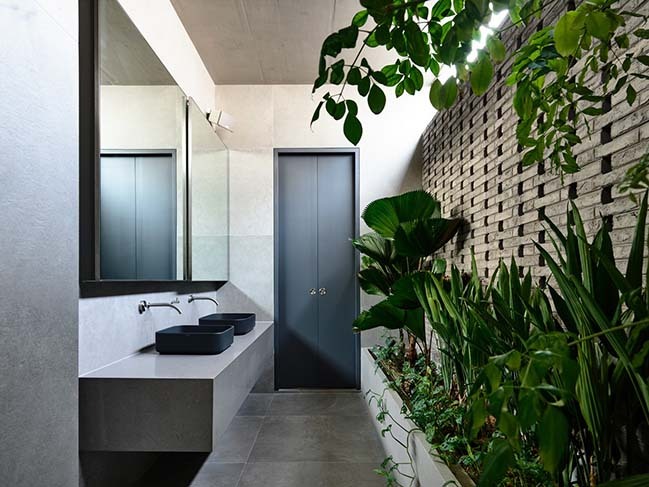 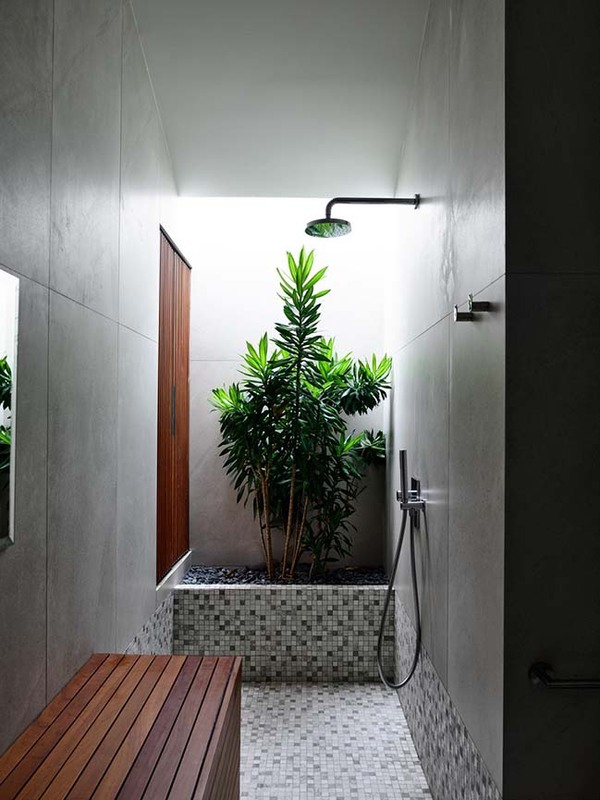 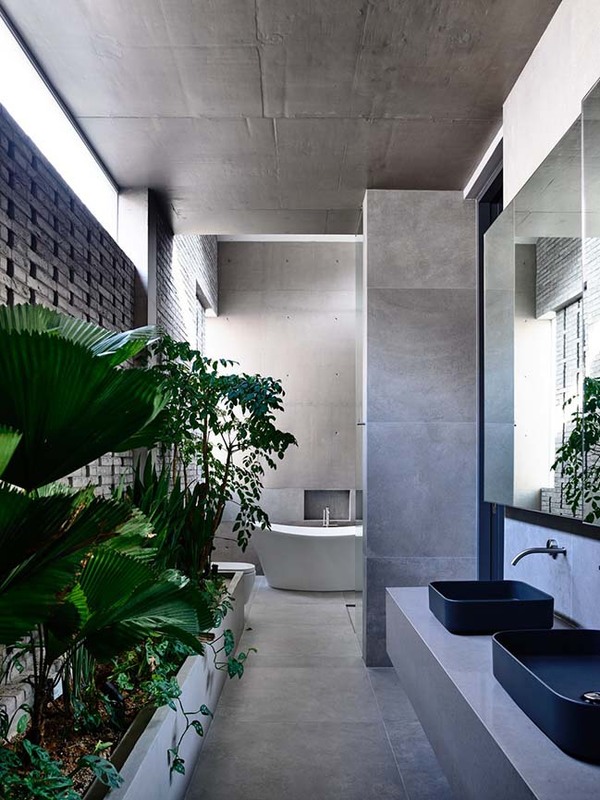 This bathroom as well as the attic bath has planting areas that offers a green contrast to the grey scheme. 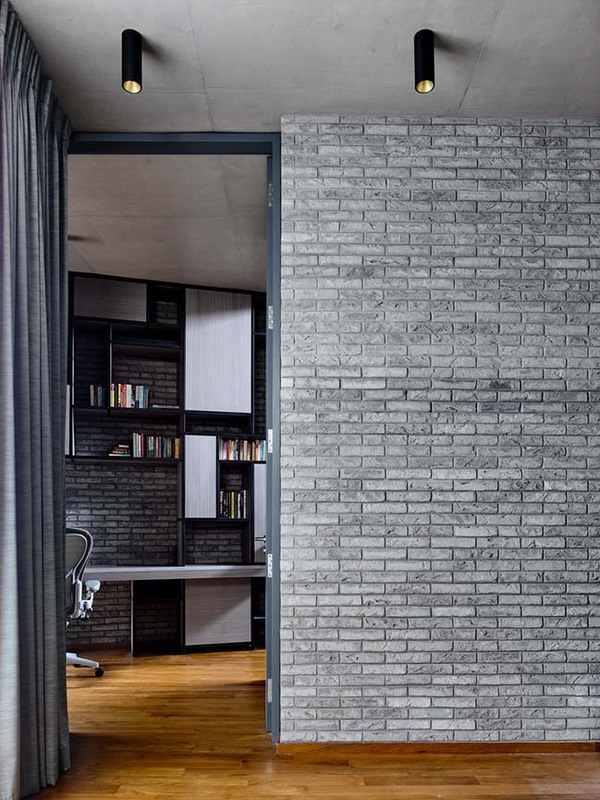 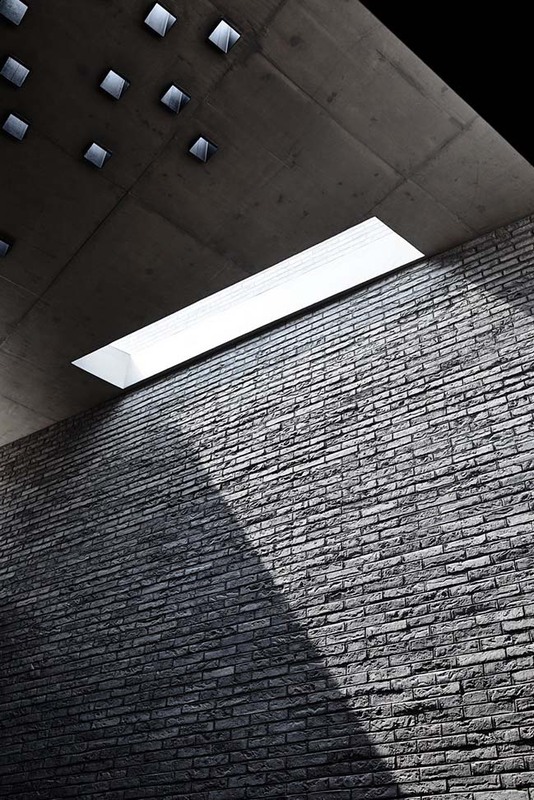 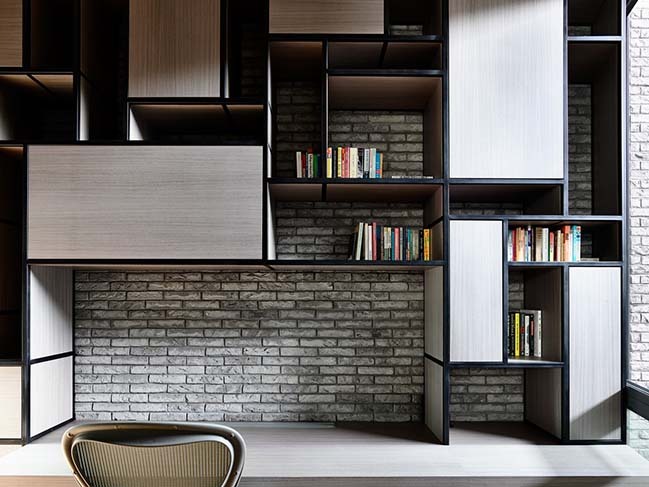 Custom storage units in the living, family and study echo the concrete and brick geometry of the house.